Advanced Auto Suggest is a fully interactive 2-way information and search suggest system to deliver real time suggestions for search terms and/or other relevant information based on live user input. 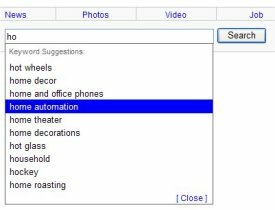 Auto Suggest is often referred to as Live Suggest or Search Suggest or simply Auto Suggestions and often found implemented in high profile web sites in various ways. Special introductory offer price ends soon ! Buy now. Our search auto suggestion solutions comes compete with backend and all databases ready to run upon installation. No dependence on any third-party data or service. 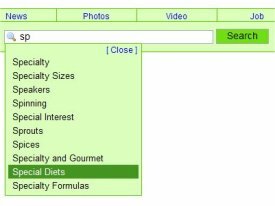 Empower your web site with a fully interactive real time search suggestion system just like the popular sites. Adds value to your site ! Deploying a live suggest (auto suggest) service simply raises the standard and profile of a site to match the demands and expectation of todays web users. No web property can prosper without a loyal user base. Providing site users the ability to use the best and most useful tools and services always helps build a broader and loyal user base. Excite your site users ! 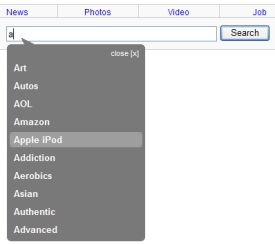 Live search suggest is sure to add some serious excitement to your site and service ! Give something new to your site users ! * - estimated installation and setup time; may vary from customer to customer.